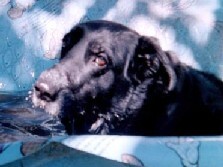 See her helping out Mom. 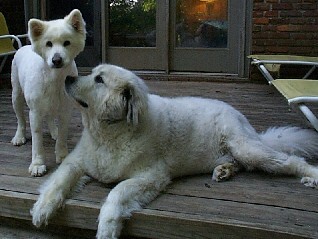 and her Great Pyrenees "Valjean"
with their cool summer haircuts. Sonya's "JoJo"